When spring unfurls, the trillium are among the stars of the native wildflowers—and in coming years, the show at the Chicago Botanic Garden will be even more spectacular. The Chicago Botanic Garden is collaborating with the Huntsville Botanical Garden in Alabama on a Trillium conservation program for the beloved woodland flower. The Huntsville Botanical Garden has one of the most complete collections of Trillium in the United States. In April, Andrew Bunting, assistant director of the Chicago Botanic Garden and director of plant collections, will pick up carefully selected rhizomes, or underground horizontal stems, from Huntsville’s collection. 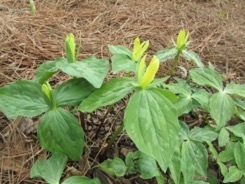 When he returns, the rhizomes will be grown out in the nursery, and in two to three years, the Trillium plants will be replanted in areas to be determined throughout the Garden. Currently, the Chicago Botanic Garden has eight species of Trillium growing in the McDonald Woods, the Sensory Garden, the Native Plant Garden, and Lakeside Garden. If all goes well, the Huntsville transplants will bring dozens of more taxa, or individual types of plants, to the Garden. 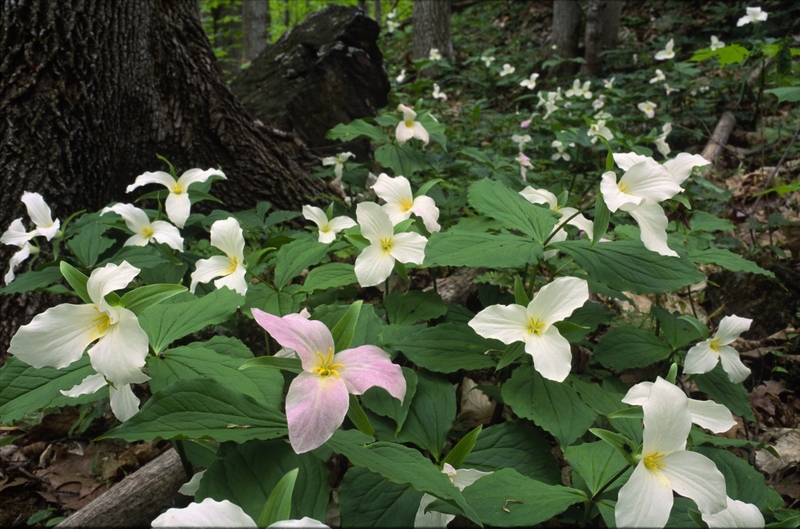 When we began our collaboration with Huntsville, we catalogued each of its Trillium species to evaluate which ones from its collection might grow in our limestone-based soils and USDA Zone 5 growing conditions. Typically, the species likes the rich, acid soils and deep shade of the ancient eastern forests. But there are several species that thrive in the more alkaline soils across the Midwest. Our goal is to expand the range of growing areas for some species and increase the overall diversity. 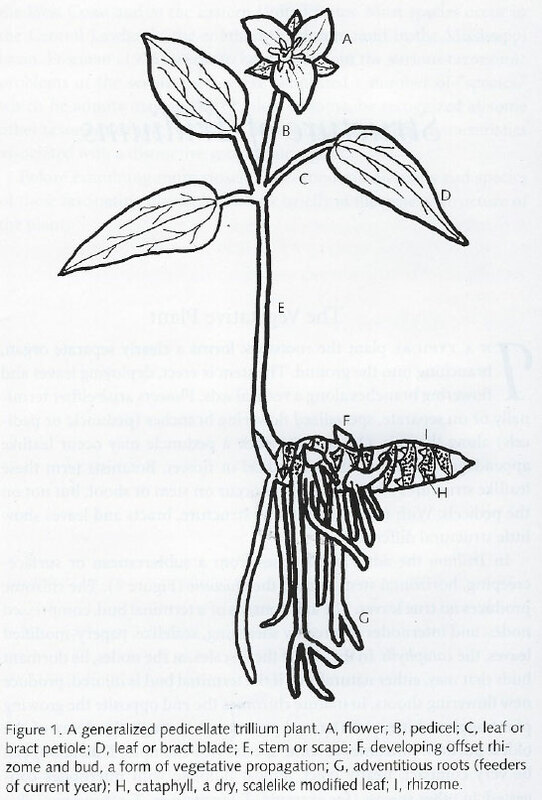 Trillium plant parts illustration from Trillium, by Fredrick W. Case and Roberta Case, Timber Press, Portland, Oregon, 1997. Urban growth and development over the years has cleared the forests in many of the natural habitats of the species. 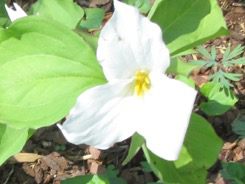 Some species, like Trillium persistens, are extremely rare and considered endangered. Trillium are so beloved that they have appeared on two U.S. Postal Service stamps. 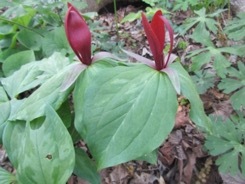 Come for an early spring walk to look for trillium and other wildflowers in the McDonald Woods. Or join a free guided McDonald Woods wildflower walk at 1 p.m. on Saturday, April 21, as part of the Garden’s new Unearth Science festival. Marcia Glenn volunteers with Andrew Bunting and the Plant Collections team, and Lisa Hilgenberg in the Regenstein Fruit & Vegetable Garden. She has more than 30 years of experience in agriculture, international trade, government policy, and management, and has served on several boards. She has a bachelor’s degree and master’s degree in agricultural economics and is a master gardener. I’ve seen many trillium on the Appalachian Trail in the south, but not many here around Chicago. I saw my first local one about two years ago in the forest preserve…a little dark purple one about 4 inches across. Very surprised and pleased. I am fascinated that you are sending someone to Huntsville Botanical Garden,where I have a membership. I love our wildflower garden, and trillium are so beautiful. We have a very beautiful garden so if any others come to Huntsville, the garden is worth visiting. I live in long grove with a shaded preserve behind me. Hello, Chris in Long Grove! Trillium are always a welcome sign of spring in my garden. Mine are tucked away under some crabapple trees in the north end of my yard so they don’t get that warm spring sun until a little later. After this cool spring, they are up now with their 3 little leaves swaying in the breeze, but they haven’t bloomed quite yet. I have T. erectum in my garden and I have had them for many years. The Chicago Botanic Garden has a number of species growing in the McDonald Woods. Trillium grandiflorum, T. sessile and T. cuneatum are all hardy for our Zone 5 temperatures and seem to thrive in our alkaline soils. Be patient, though. Trillium can take a few years to get established, but they are worth the wait.